Masaaki Suzuki’s harpsichord recital at the Collection of Musical Instruments on Tuesday, April 26 will stream live at music.yale.edu/media. This is the first time that the School of Music will live-stream from the Collection. Suzuki performs regularly as a conductor as well as a keyboardist. In this recital, he will play music from France, England, and Germany, with compositions by Louis Couperin (the uncle of the better-known François Couperin), William Byrd, Jakob Froberger, Dietrich Buxtehude, and – Suzuki’s specialty – Johann Sebastian Bach. 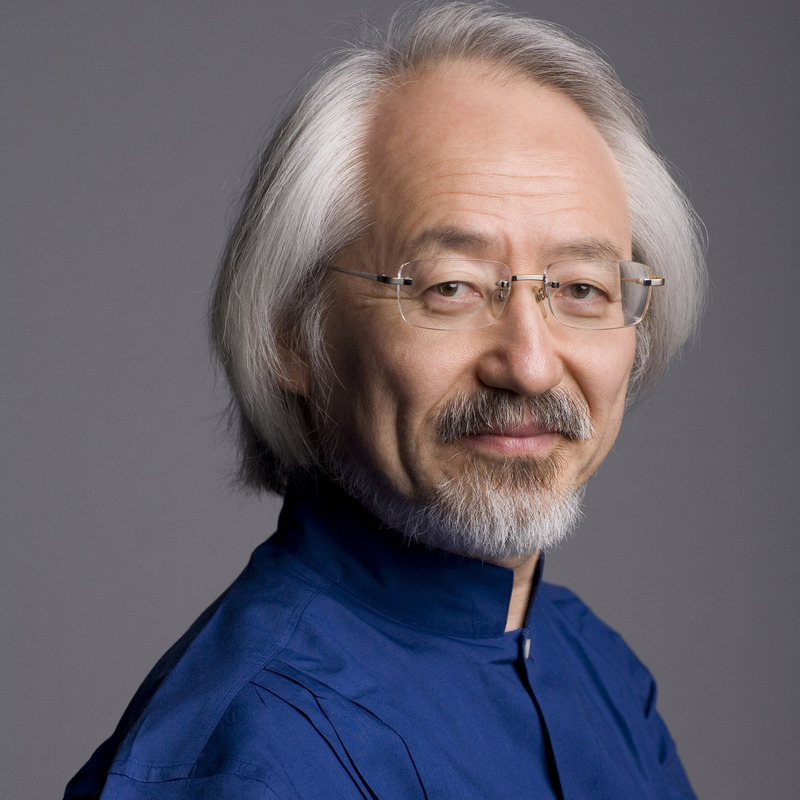 Masaaki Suzuki will play two of the Collection’s harpsichords: a Flemish instrument made by Andreas Ruckers in Antwerp around 1640, and an “expressive double” made in Paris by François Etienne Blanchet the Elder around 1740. The recital will take place on Tuesday, April 26 at 5 pm at the Yale Collection of Musical Instruments (15 Hillhouse Avenue, New Haven). Tickets to this recital are $20, $15 for seniors, $10 for students. The live stream can be accessed at music.yale.edu/media. For more information, visit music.yale.edu or call the Yale School of Music concert office at 203 432-4158. When clarinetist Sara Wollmacher, a second-year student at the Yale School of Music, gave her degree recital recently, the audience stretched far beyond the concert hall. While Wollmacher performed in Sprague Hall, her grandmother – Julia Wollmacher, 95 (pictured at left) – was able to watch the live video stream of the performance online. Many international students have enjoyed the benefits of the live stream, with families watching from as far afield as Egypt and Korea. The Yale Percussion Group will perform on the Kennedy Center’s Millennium Stage on Monday, March 1, at 6 pm. The performance is part of the Kennedy Center’s “Performing Arts for Everyone” initiative. No tickets are required; seating is limited and is available on a first-come, first-served basis. Featuring local, national, and international talents, the Millennium Stage has been hailed as “a cultural institution within a cultural institution” by the Washington Post. Fresh from their exciting performance on the Yale campus last Saturday, February 20, the Yale Percussion Group will perform music of Thierry de Mey, James Wood, Astor Piazzolla, and Mauricio Kagel. The members of the ensemble are Yun-Chu Candy Chiu, John Corkill, Leonardo Gorosito, and Michael Zell. They will be joined by flutist Dariya Nikolenko. Robert van Sice, the director of the ensemble, will perform with the group in Thierry de Mey’s Musique de Tables. The concert at the Kennedy Center will stream live at kennedy-center.org/programs/millennium. The Yale School of Music is proud to announce the debut of its virtual concert hall: beginning February 1, concerts held in Morse Recital Hall will stream live online with high-definition video and CD-quality audio. Audiences around the world – from prospective students to alumni, from performers’ family members to the general public – will be able to enjoy concerts in real time via the School of Music’s website. Dedicated to cultural leadership, the Yale School of Music is one of the first schools to offer regular live streams of its performances. Associate Dean Michael Yaffe views the live stream as “a logical extension” of the School’s activities on campus. Yaffe emphasized that the streams are not produced segments but are an extension of the concert hall itself. The initiative is part of a multi-pronged technological expansion that also includes digital student portfolios, Internet2 distance learning, new online admissions capabilities, and virtual classrooms. The inaugural stream will begin at 8 pm on February 1 with a Faculty Artist Series recital. Cellist Ole Akahoshi and pianist Elizabeth Parisot will perform music of Bach, Brahms, Barber, and Schnittke. Several other live streams will be offered that week, including performances by the Yale Brass Trio and the Jasper String Quartet, and a tribute to Romanian composer George Enescu. The live stream can be accessed at music.yale.edu/media. Three types of streams will be available: high-definition video; lower-resolution video for those with slower internet connections, and an audio-only stream. Morse Recital Hall, located in Sprague Hall at 470 College Street, is the School of Music’s primary performance venue. An audio-only stream will be available for selected performances in Woolsey Hall and Sudler Hall. The Yale School of Music is pleased to announce that both the Commencement Concert on Sunday, May 24 and the Commencement ceremonies on Monday, May 25 will be streamed live online. Among Yale’s many concerts commemorating the past year, the Yale School of Music’s commencement concert features some of the most accomplished young musicians of the current generation. These outstanding performers from the YSM Class of 2009 include pianists Helen Huang, Reinis Zarins, Jeannette Fang, and Wei-Jen Yuan; violinist Nicholas DiEugenio, cellist Hannah Collins, clarinetist Paul Cho, oboist Merideth Hite, bassoonist Sam Blair, composer Fernando Buide, and mezzo-soprano Emily Righter in a varied program featuring works of Debussy, Schumann, Rachmaninoff, Buide, and others. The free concert takes place on Sunday, May 24 at 4pm in Morse Recital Hall in Sprague Hall. The live stream will be available here. The School of Music’s Commencement exercises will also be streamed live beginning at approximately 12 noon on Monday, May 25. Visit our media page at that time to tune in. The processional and recessional will be performed by a brass ensemble of faculty, students, and alumni, and the School will continue the tradition of singing Schubert’s song “An die Musik.” Dean Robert Blocker will give the Commencement address. Degrees awarded by the School of Music include the Master of Music, Master of Musical Arts, Artist Diploma, Certificate in Performance, and the Doctorate of Musical Arts.